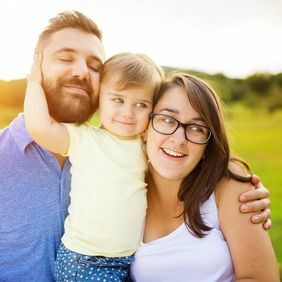 Surrogacy is a wonderful treatment option that can provide women and couples who have had difficulty conceiving with an opportunity to have children of their own. Surrogacy involves an in vitro fertilization (IVF) treatment cycle, where the healthy embryo will be transferred to a gestational carrier's uterus rather than the biological mother's. This is a complex treatment plan that involves many different procedures and aspects that can affect the total cost of surrogacy. The team at our Los Angeles, CA, fertility practice can help you understand how these different factors affect the total price and why each of them is medically or legally necessary. If you have been considering surrogacy and would like to learn more about the associated costs, please contact our office to make an appointment. Surrogate compensation can range in price depending on certain variables. This cost will typically include pregnancy benefits, travel compensation, and lost wages. An IVF cycle will be included in every surrogacy procedure. If multiple cycles are needed, the total cost will typically increase. Additional medical testing or procedures may be indicated for individual patients and can affect the total cost of the surrogacy process. Psychological support for the intended parents and the gestational carrier can increase the total price if multiple evaluations are needed. Insurance coverage is indicated for the surrogate and for the baby, depending on the intended parents' health insurance policy. Legal services can have an extended price range if the intended parents lives outside of the United States. The agency fee covers the cost of the initial screening process of the potential gestational carriers. Incorporating donated eggs or sperm can increase the total price of your treatment. Total treatment cost can increase if the embryo or embryos that are transferred fail to implant. In this case, the surrogate will not become pregnant and the treatment will require repeated attempts. Additional rounds of embryo transfer and potential travel costs can increase your total price. Additionally, if we use all of the available embryos and are required to do another egg retrieval cycle, this can significantly affect the total cost. At Pacific Surrogacy & Egg Donation, we have achieved very high success rates with gestational carriers, but it is important for you to be aware of the potential cost increases based on repeated attempts and additional procedures. If you have had difficulty conceiving and would like more information about surrogacy and its costs, please contact our office to schedule a consultation with a member of our medical staff. We look forward to the opportunity to provide you with excellent care and become your partner in making your family whole.